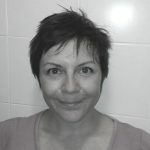 Teresa is a course tutor on the Trinity CertTESOL in Active Language, Cádiz. She’ll be presenting a workshop on guided visualisation at the conference this year in May. Read more about it here. I have a very clear memory from my childhood of sitting with my eyes closed as my sister told me a ghost story set in a lighthouse. I could see the waves crashing against the rocks at the foot of the lighthouse, feel the wind whipping my face as I approached it in the darkness and sense the tension rising within me as I climbed the stairs to the top. Stories are at the heart of every culture: as children, we’re told stories at bed-time; throughout our lives, we listen to anecdotes from family and friends; and when we dream, we enter a world of opportunities where the limit is our own imagination. And this is what we can tap into with guided visualisation – providing learners with minimal input allows them to imagine all sorts of possibilities, meaning they can personalize their learning experience in a way which working with more structured content doesn’t allow them to do. Guided visualisation can be used both to create imaginary constructs and to root learners in the real world, providing them with thinking space and time to produce a much fuller response to the questions we ask in our classes. Another reason I love guided visualisation is that it encourages learners to ask for language which they might not have asked for under the pressure of an on-the-spot answer. When learners share their visualisations with peers, there’s more motivation to express in words what they’ve just seen and an abundance of emergent language can come out of those moments. I also feel peers are more likely to listen to each other as they mentally (and verbally) compare and contrast their visualisations. Guided visualisation is great for prep-free, paper-free and tech-free lessons, plus you can use it to work on a variety of linguistic points and using the time when learners are sharing to monitor and collect errors and useful language can provide you with lots of material to work on in that lesson and the future. In the session, we’ll be doing a number of guided visualisations and looking at how they can be used in the classroom to practise different linguistic points and skills. Some people might be sceptical of guided visualisation, associating the technique with Suggestopedia, which is often seen as a bizarre, “hippie” methodology from the 1960s. Though it’s true that a number of the tools for a successful visualisation share their roots in the approach, there will be no Baroque music in the workshop and, much as I would love to give a session with you all sitting on bean bags, I imagine we’ll be in a more formal setting! We’ll also look at how learners can use visualisation to remember lexis more easily, as we construct a memory palace and behind one of the doors, you’ll find a bear wearing a fez which is too small for its head. The technique of memory palaces or “method of loci” is widely used by contestants in memory championships and by polyglots to enable them to recall a huge variety of words, phrases and linguistic constructs across numerous languages. Teresa is a teacher and CertTESOL trainer at Active Language, Cádiz. She’s enthusiastic about professional development and craft beer. In a year of change, this year has seen her teaching English on a naval base, becoming a social media narcissist and creating observation tasks for the CertTESOL and Young Learner courses at Active Language.